Lately, I have been into infusing vinegar with herbs and spices. 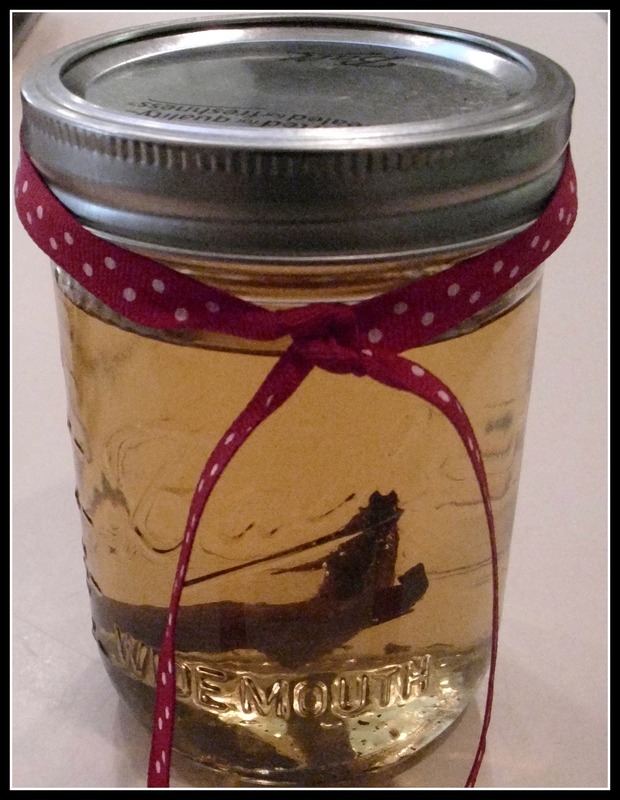 Below are the steps on how you can make a vanilla infused vinegar. Keep in mind that it does take a few weeks …so patience is key to success with this recipe. There is a bonus recipe below for a simple Vanilla Vinaigrette. P.S. If you are look ing for other ideas on how to use Vanilla, check out some “Vanilla Recipe Finds” on the Gypsy World Spice Cafe Facebook Page http://www.facebook.com/GypsyWorldSpiceCafe. Please visit and remember to “like” while you are there. Carefully split the Vanilla Bean with knife or kitchen scissors. Place Vanilla Bean in mason jar. Place mason jar on a sunny shelf. Wait 3 weeks. Give jar a soft shake every few days. Transfer to a nice vinegar dispenser (optional). Blogger Comments: I use vinegar on salads, in marinades, to deglaze pans, in vegetable saute’s and as a secret ingredient when I think a dish needs a little kick… We tried this on berries and it was really good.